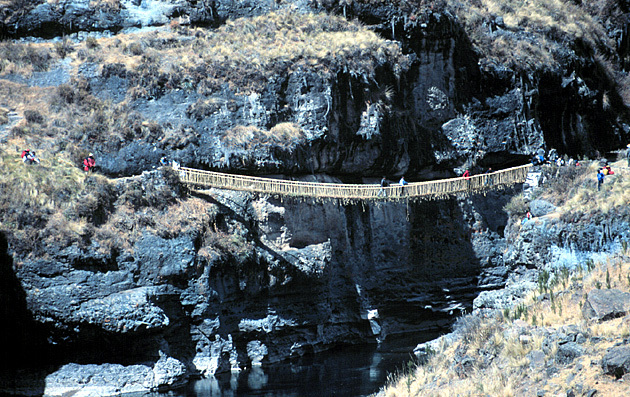 Inca rope bridges were simple suspension bridges over canyons and gorges and were an intrinsic part on the Inca road system. Not many such bridges have survived. 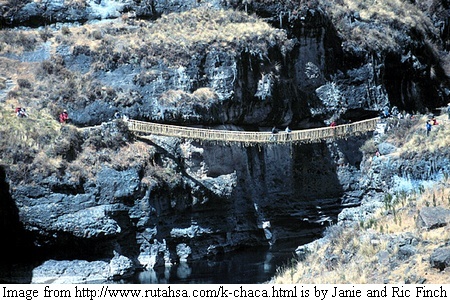 However one such - Keshwa Chaca in Peru built hundreds of years ago by Inca civilization is still functional mainly because it is re-constructed annually by the local villagers. 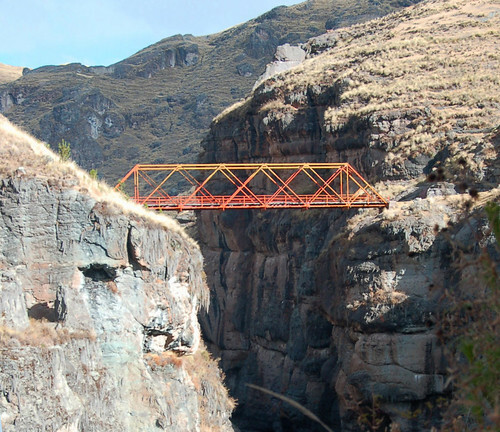 Each year in June, the people of the village of Huinchiri and nearby places come together to reconstruct this bridge over the Río Apurimac Canyon. They use the same technique which was used by their Inca ancestors. 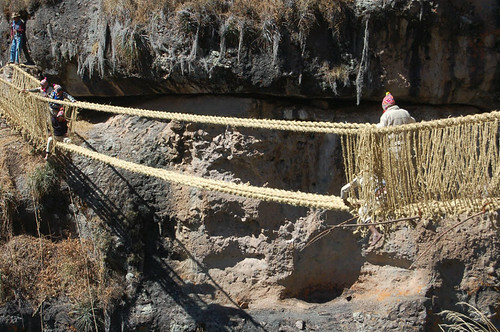 Although a steel girder bridge has now been constructed, but the villagers have maintained the age old tradition and re-build the bridge annually. 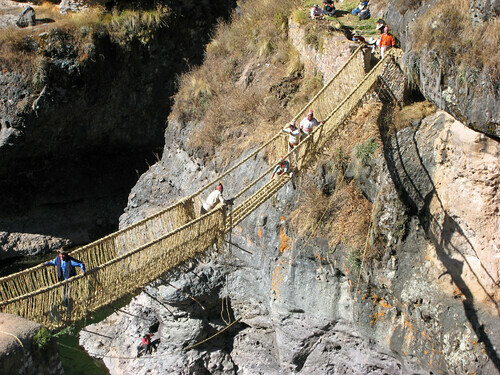 In strict sense a new bridge is laid out each year but broadly speaking it can be termed as Oldest Surviving Inca Rope Bridge. Thanks for the info. Loved the images in the slide show. I am going to put a link in my post. Very nice Keshwa Chaca feature. I am just starting to ut some of my bridge images on Google Earth. I am happy to have you use these. Sorry, my link to the Photo slideshow has changed. Please go to www.dojoklo.com and click on the "Keshwa Chaca" link.